When I attended the Hearing Loss Association of America national convention two years ago, I thought I was the only Lipreading Mom in the world. Then I met Tina, a mom of three from Georgia. 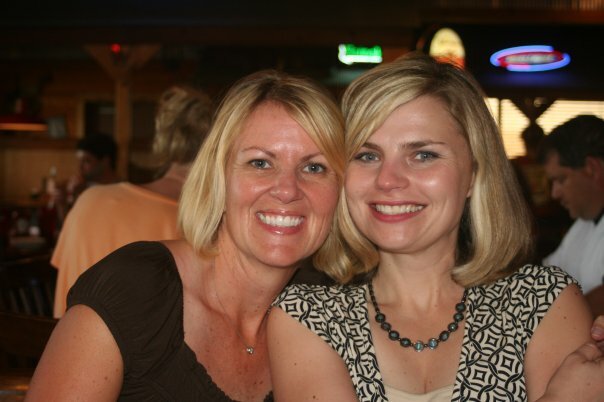 Like me, she developed a hearing loss after the birth of one of her children. Like me, she was afraid to come forward with her hearing loss for years. Living hundreds of miles apart, we found each other at this convention and realized we were not alone. Minda moved in next door to me several years ago. 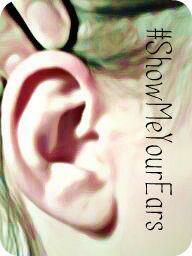 I was a mom struggling with a newly diagnosed hearing loss. Minda was born with hearing loss and had fully embraced this part of herself. We connected because of our hearing aids. That was the first thing I said to her as she unloaded boxes from her moving van. “You have them.” I pointed to the hearing aids behind her ears. 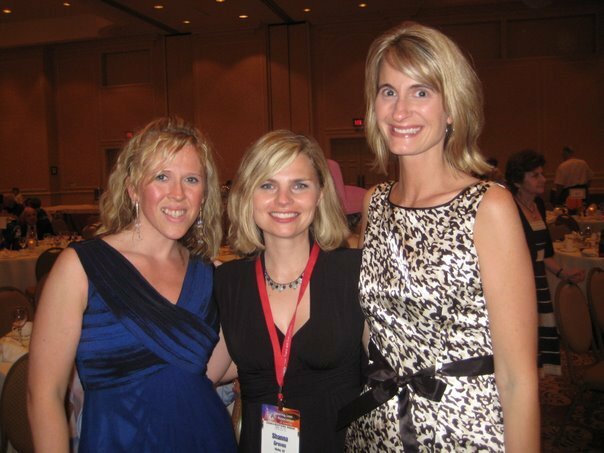 Minda attended the same convention with me where I met Tina. The three of us are close friends to this day. By the second or third conversation, they begin to realize that I communicate a little differently. I tend to talk with my hands, using sign language here and there. I over-enunciate my words. When my head is turned and someone asks me a question, I either say “Huh?” or don’t respond. My kids talk loud when they are with me. Other moms either read my blog or I meet them at a school or community event. Just this week, I met two moms with hearing loss. Jill attended a parenting seminar I co-presented last week. She sat on the front row and watched my face intently as I spoke. After chatting with her, I learned that Jill, a mom of two, was being evaluated for cochlear implant surgery the next morning. This afternoon at a local HLAA holiday luncheon, I visited with two fellow Lipreading Moms: Terri and Melany. Both wear cochlear implants and lead very active lives with their school-age children. Lipreading Moms are everywhere. If I stop and take the time to show my hearing aids, tell my story, and listen to others share, I learn that the world of hard-of-hearing moms is a vast one. Congratulations on finding your friends! I am so envious. I have put notices on Craigslist trying to find women like myself with hearing loss. I am older, son grown, and can’t seem to find anyone my age in the Seattle area. There is no organization in the city of Seattle (HHLA), just in the surrounding areas far from where I live. I’m looking for women in their 40s-60s who have hearing loss and to whom I can relate. I have asked at the audiologist office but haven’t gotten anywhere. Love this! So glad to have met you! Looking forward to a whole community of lipreading moms. 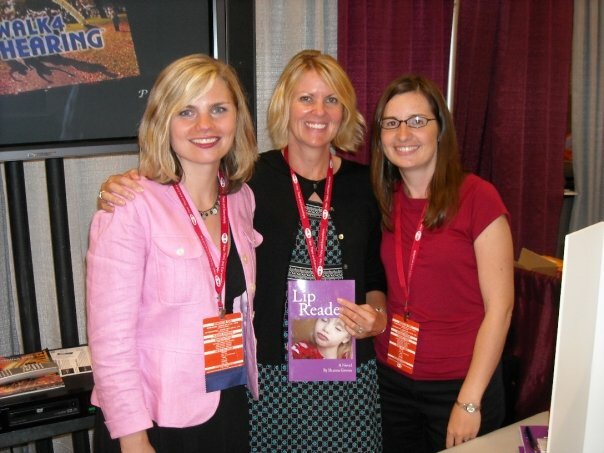 I met Abbie and Jennifer at ALDA– love them too! Altho we all have different stories how we got through the roads of hearing loss, we all connect like a big happy family the moment we meet. I once felt a little alien like, with contact magnets to my scalp from cochlea implant, but got used to being different. Yet now, I can actually find a few more alien types like myself 🙂 To salander above, check out late deafen adults clubs. Our group here doesn’t have anyone my age either, but we still all have a love and caring fellowship for each other no matter what our age is. @Salandar – I agree with Terri’s comment. There could be an Association of Late-Deafened Adults (ALDA) or HLAA group within driving distance of where you are. If you’d like any assistance with locating a hearing loss support group, please contact me here. Blessings to you! Great write up. I too felt alone being a mom with a hearing loss out there when so many aren’t – like at parks, children’s performances, etc. Now we’re found! Yeah! Carrie – Thanks for the comment! Yes, we are “found.” 🙂 Blessings to you.